Solving visual puzzles is great fun as these puzzles do not require any knowledge. Can has to be very sharp in looking at things to solve these visual puzzles. 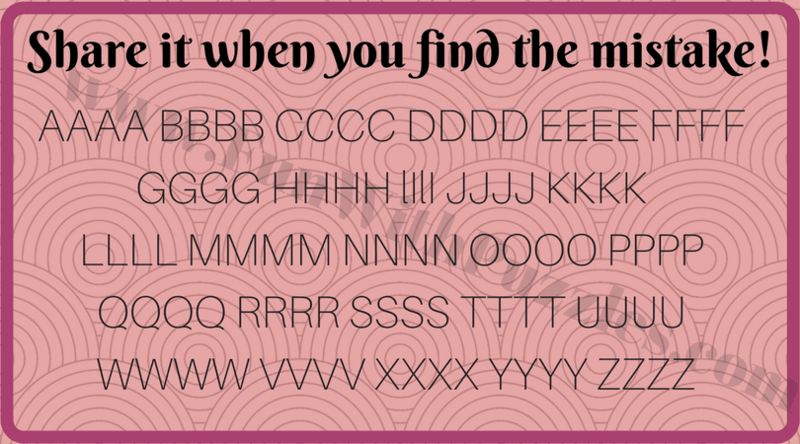 Visual puzzles can be many different types like finding the Odd one Out or Finding the hidden letters. There are several types of picture puzzles on this website. Finding the mistake is a very interesting visual puzzle in which one picture is given and one has to find the mistake in this picture. Here is your observation test with five visual puzzles. In these picture puzzles, some statements are given and one has to find the mistake or error in these pictures. This mistake can be anywhere in the picture. One has to carefully study the picture to locate the error. Some of these puzzles are very easy. 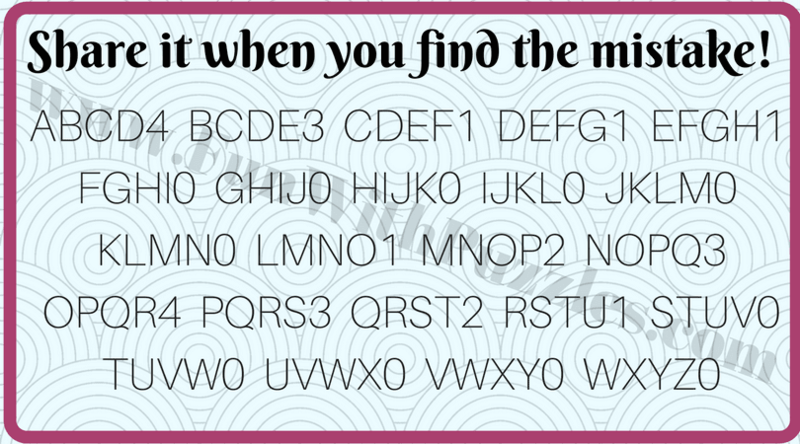 You will immediately be able to find a mistake in these puzzles. However few puzzles are tricky and extremely tough which will require some thinking to solve it. The last puzzle requires some logical and out of box thinking to solve it. Let's start with an easy puzzle. 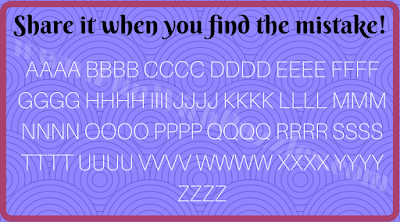 This one is very easy and even kids will be able to find the mistake immediately. 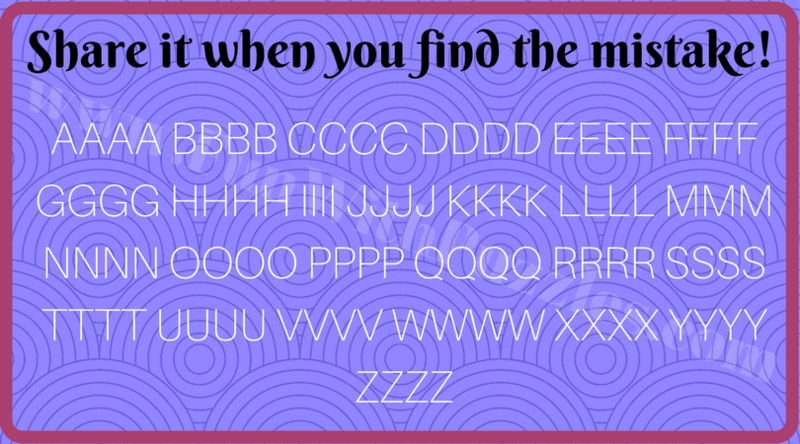 Let us see how much time you take to find the mistake in this brain teaser? 1. Share when you find a mistake in this picture. 2. Can you find a mistake in this picture? Next one has again not very tough. However, some people may stop on this one. 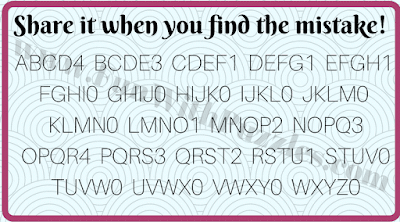 For some people, it may be second or multiple reading to find the mistake in this puzzle. Let us see if you are able to find a mistake in this puzzle in the first scan only. 3. Can you find the mistake in this picture puzzle? Next one is the tricky one. For some people, it may be very quick to find the mistake. However, for some people, it may require multiple scans of this puzzle. Few people may at the end think that there is no mistake in this puzzle at all. 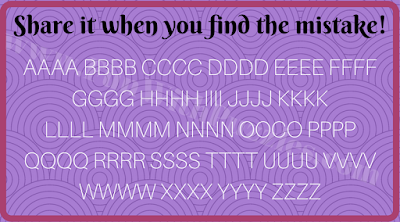 Let us see if you can find the mistake in this puzzle quickly? 4. 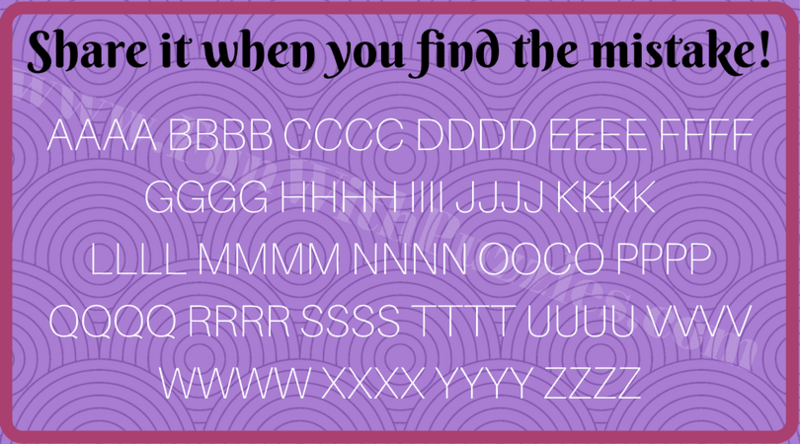 Can you spot the mistake in this tricky puzzle? The last one is the tricky one. This one is not only visual but it may require out of box thinking to solve this puzzle. There is logical thinking required to connect the number with the alphabets. Once you are able to find this logic then you will be able to solve it quickly. In this puzzle, there are chances that kids will be able to solve it quickly than adults and teens. You are a genius if you can solve this puzzle very quickly. Finding the mistake puzzles test your observational skills. Here is the list of Visual Puzzles which will test your visual and observational brain power. 1) Can you find the mistake? : Another set of Visual Puzzles in which your challenge is to find the mistakes in the given pictures. 2) Hidden Faces Picture Puzzles for Kids and Teens: These are picture puzzles to test your observational skills in which your challenge is to find the hidden faces in the given picture puzzles. 3) How many squares are in this figure? : Can you count? If yes, try counting the number of squares in the given figure correctly in your first attempt. 4) Spot the Different Picture Brain Teasers: These are very interesting Odd One Out Picture Puzzles to test your visual skills. In these puzzles, your task is to find the picture which is different from the other two pictures.